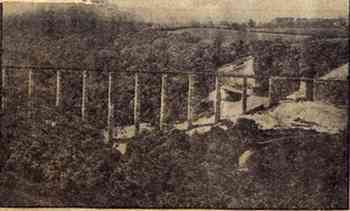 Apparently the original viaduct was undermined (and thus made unsafe) by mining operations, possibly involving the Whitecliffe site. 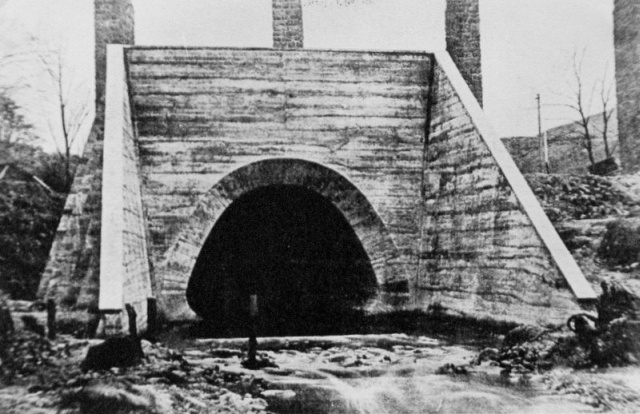 720,000 tons of shale from the surrounding mines was required to bury it, and the culvert was installed. When the potash line was reinstated in the 1970’s I am not sure as to what degree the viaduct (as was) was re-engineered, if at all. Anyone got any information on this? To answer the above question: once the shale embankment had been built the railway track was realigned slightly and set into the embankment itself and taken off the old viaduct. This activity is described fully in Simon’s book about Liverton Ironstone Mine.